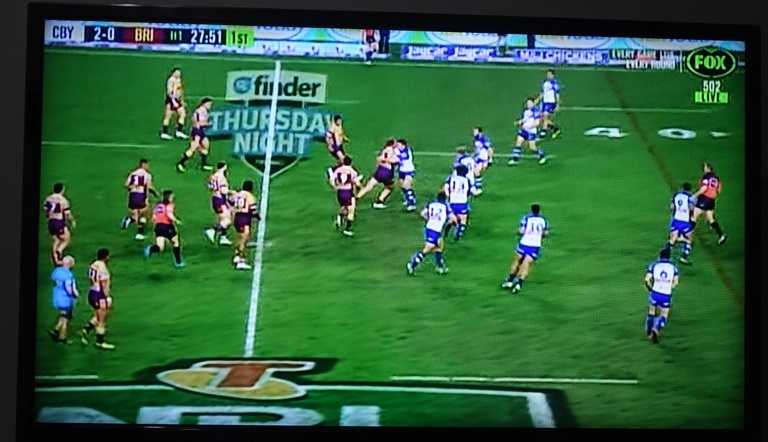 It is Thursday night which means that Thursday Night Rugby is on TV in Australia. For dinner tonight I had some leftovers from a meal that I had earlier in the week. 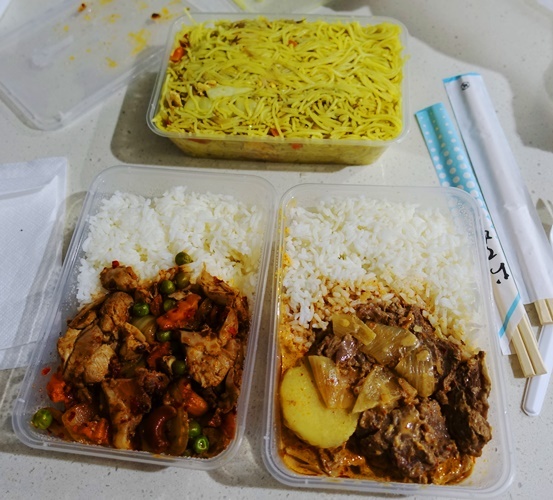 Here are the original containers of Thai beef and spicy chicken as well as some noodles. I had my dinner as the game was getting started. I also made some Dong Ding oolong tea from a sample that I got earlier in the week from the T2 store at Macquarie Centre. 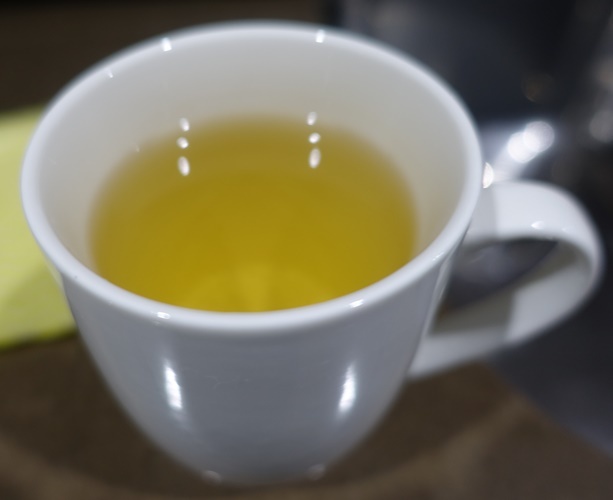 I enjoyed my cup of tea after my dinner while sitting and watching the rugby match. 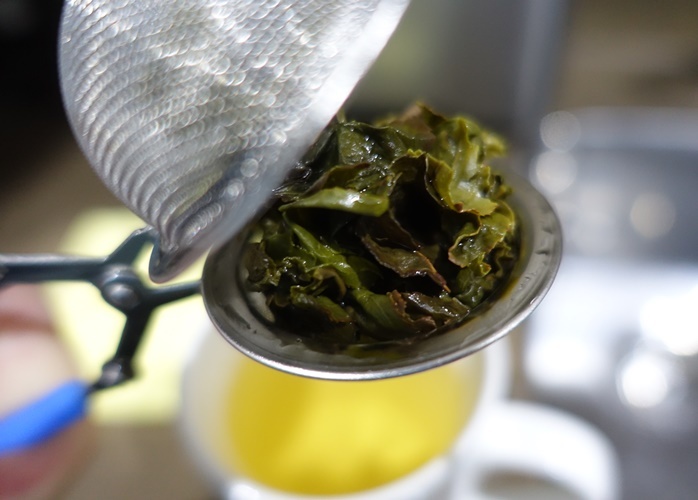 The tea is really good as it is a lightly oxidized oolong with a nice smooth mouth feel. It is nice to see a sport on TV that is only rarely seen on TV back home. The game is still on and it has been an exciting game with a lot of action. Once the game is over I will have to see what other sports are on. Maybe I can find an Australian Rules Football game. This entry was posted in Australia, Sports, Tea, Travel and tagged Australian Rugby, Dinner, Dong Ding Oolong, NRL, Oolong tea, rugby. Bookmark the permalink.